The organisers of the XBC – Cross Border Speed Championship would like to invite you to their Inaugural Awards Dinner/pre-season get together. To be held on Saturday March 12th 2016 at Gretna Green on the English/ Scottish border. Now that I have your undivided attention . . . . There are obviously a few drawbacks to organising an event like this at such short notice. We need confirmation that you are able to go. We need to know by Wednesday of next week – 17/02/16. Tickets will need to be paid for in full the following week. The price for the meal is £25 per head. Hotel rooms are available if required, hopefully at a negotiated rate. Please contact us a.s.a.p. so that we can confirm numbers. Menus will then be provided to choose from, and we need you to return those choices very quickly. Our gathering is not just for the competitors themselves, but wives/husbands, girfriends/boyfriends, friends, prospective competitors, interested parties etc. etc. etc. are very welcome to come along and join the fun. If you haven’t received an email on the subject, please use our Contact Page to get in touch. 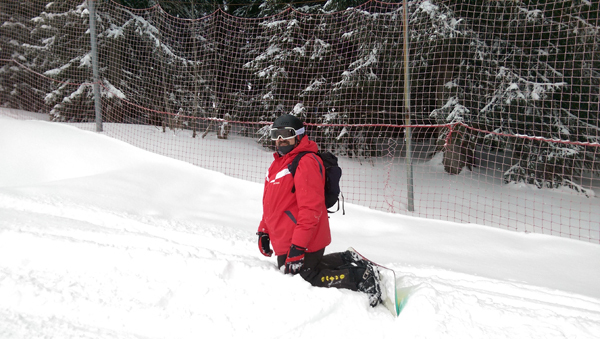 Well here we are, back from Snowboarding, Dave is un-injured this year . . . . . . . Well . . . . . Nothing actually broken !!! . . . . . Seen here praying for a reduction in the force of gravity !! Our XBC Championship Regs have been with the MSA for some considerable time now, and they are still not back. We know that the MSA have a backlog, and have been busy with exhibitions, so it seems that all we can do for now is to sit and wait. As soon as we have our permit, we will be open for entries ! !